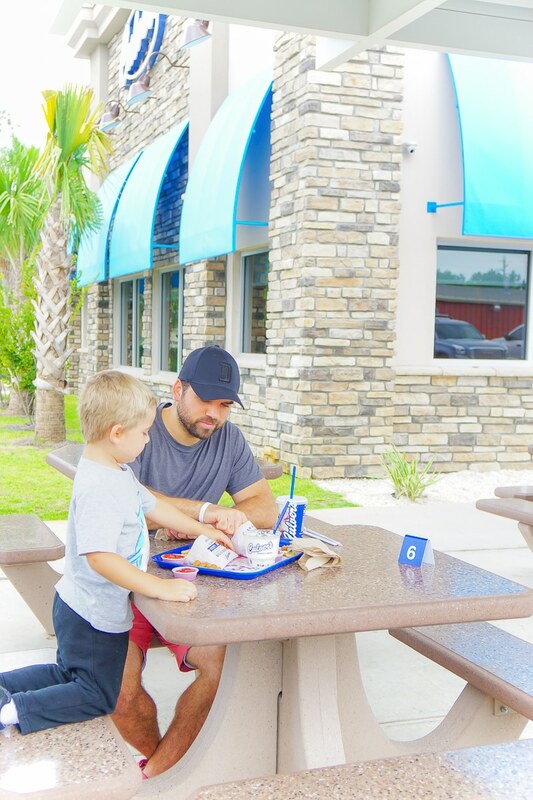 Have fun this fall with your family by enjoying National Cheese Curd Day and doing this Say Cheese fall photo scavenger hunt! Simply explore your local neighborhood and take all of the photos on the scavenger hunt to win! 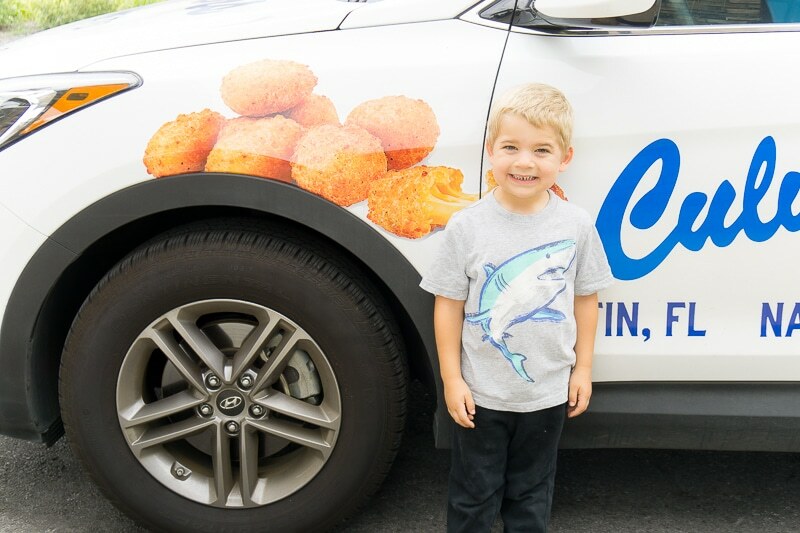 With National Cheese Curd Day coming up on October 15th, I thought it was about time to introduce my son to the magic of cheese curds. 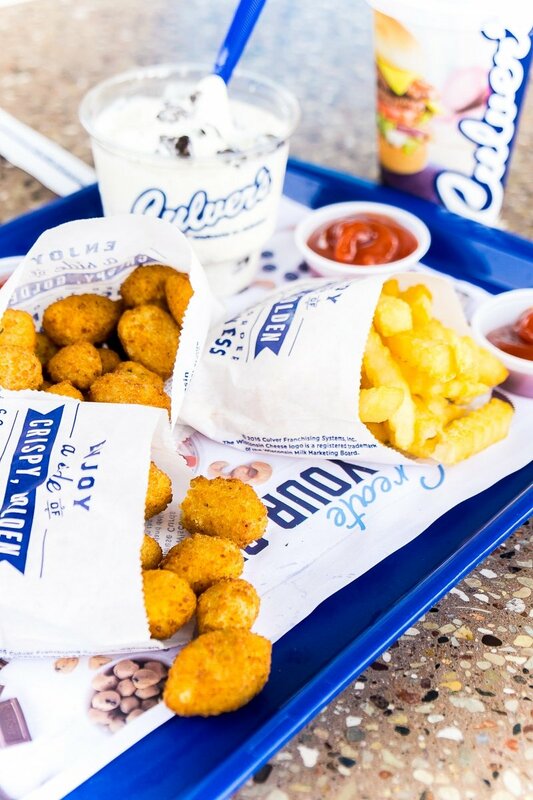 If you’ve never had cheese curds, they’re kind of like mozzarella sticks, but better. 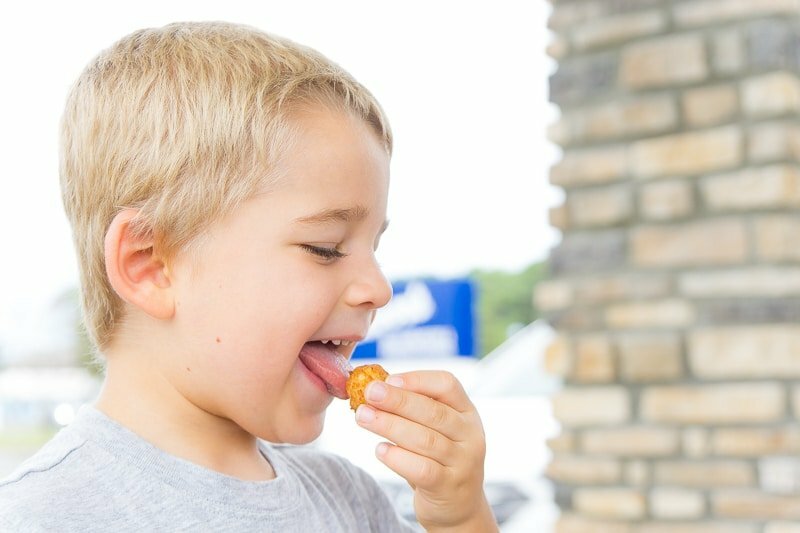 We took my son to Culver’s where the cheese curds are little snack size chunks of white and yellow cheddar cheese that have been breaded and deep-fried. 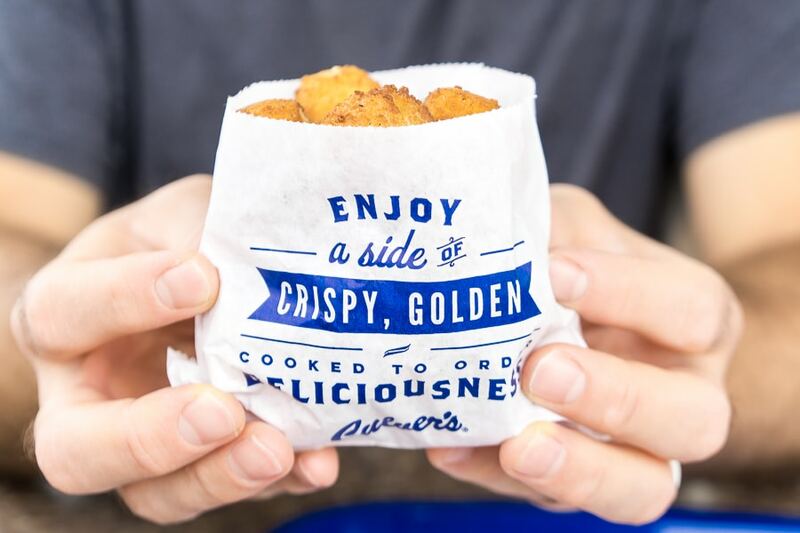 Find out more about National Cheese Curd Day with these fun facts or watch this fun video on how Culver’s cheese curds are made! 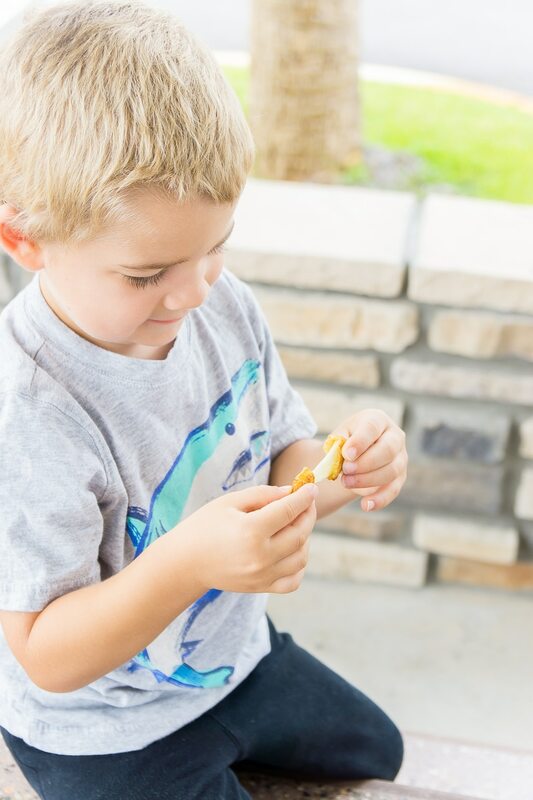 I honestly wasn’t sure what my son would think of cheese curds. He won’t eat mozzarella sticks and doesn’t like trying new things. He loved stretching the cheese. He loved the crunchy outside and cheesy inside. 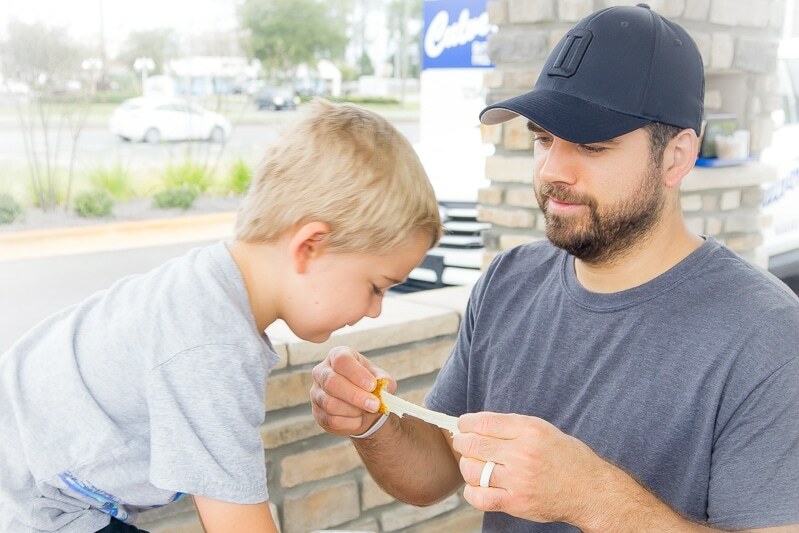 He loved picking out a cheese curd and guessing if it was white or yellow inside. 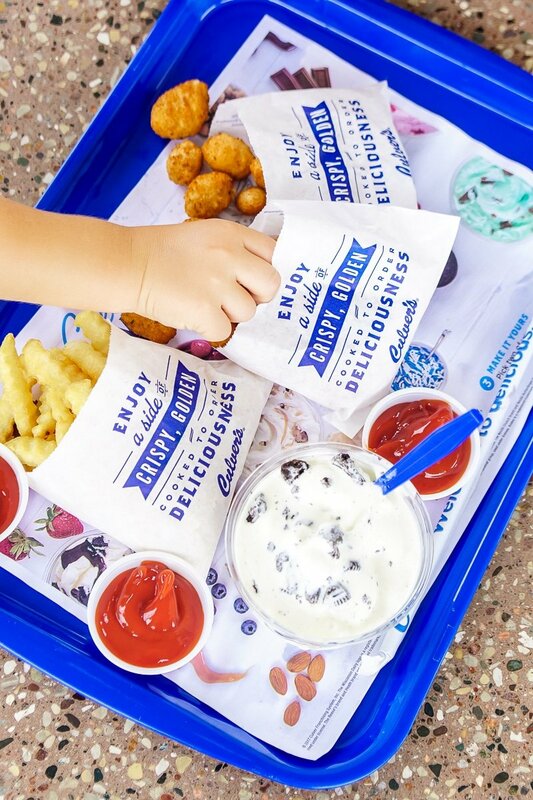 And he loved stacking the cheese curds up before we ate them. 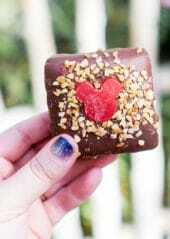 What can I say, we like to play with our food. 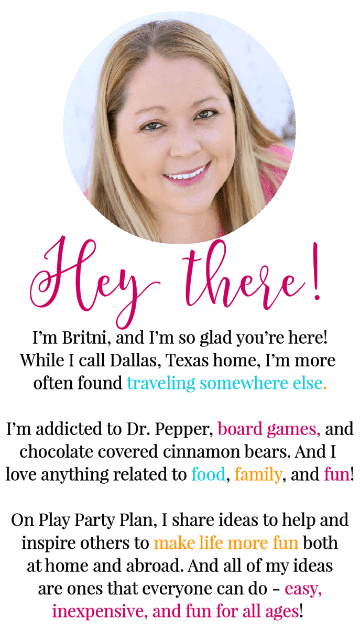 To celebrate National Cheese Curd Day on October 15th, I created a fun “say cheese” fall photo scavenger hunt that families can do together! 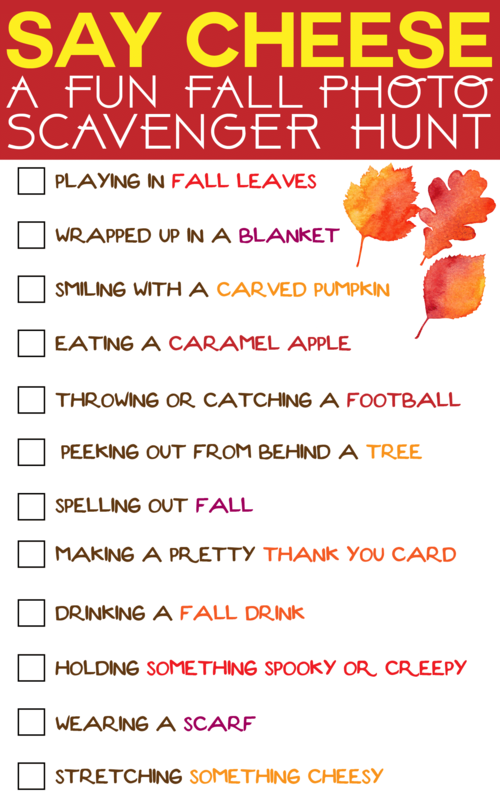 The scavenger hunt includes a bunch of my favorite fall activities like playing in the leaves, eating a caramel apple, drinking a fall drink (I love this hot chocolate recipe), and stretching out cheese like in the yummy Culver’s cheese curds! You have two options for the scavenger hunt. You can either take an afternoon and try to do everything at all at once or you can make it a week-long scavenger hunt and kind of like a bucket list, just do all of the activities when you can. Just make sure that you get a photo of each activity and say cheese! This would also be really fun to do in a competition – give two teams the scavenger hunt and see who can complete the items and get photos of each first! 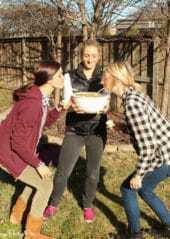 A photo scavenger hunt is the best kind because it’s the only one that actually requires you to make and capture memories with your camera! For the scavenger hunt, just click on the button below to download the PDF version. 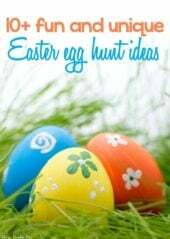 Each one comes with two scavenger hunts to a page to print then play! 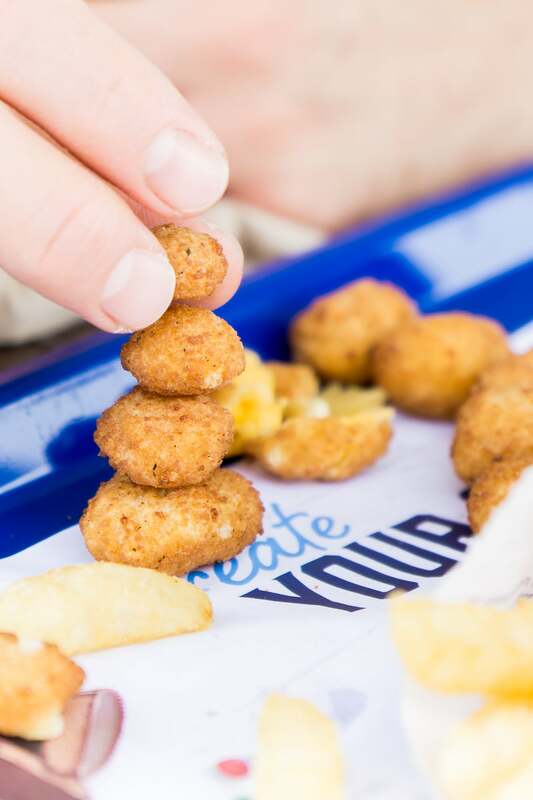 It’s seriously the perfect way to celebrate National Cheese Curd Day – just end the scavenger hunt with a little cheese curd stretching at your local Culver’s!